We’re not loosing our marbles, we’re finding them!! 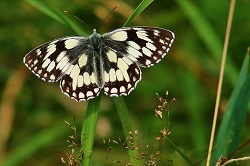 Marbled white butterflies have been seen by many on Ely common. Up to 10!